Updates will be available as the season progresses. Please contact the organizers of any non club events via the links provided in the descriptions to verify event details, fees and the accuracy of the scheduled information provided. If you have additional events or are an event organizer in the Western PA, Northeastern Ohio, and Western NY area then you can submit them via the Web Calendar or email to us. Again the racers for the 14th Annual race experienced good weather with moderate wind for our traditional Fathers Day event, Sunday, June 17th, 2012. Going out for a "spin" (as fast as you can) around the Peninsula is always a great start to Fathers Day- our annual 12.5 mile race of truth. The race was on the traditional course of beautiful Presque Isle State Park. The final results of this years race is available in the right hand column of this page, along with prior years results. Thanks to all the riders that have come out and supported our event this year and the challenge is always about whether you can race a personal best time. The committee would like to also thank all the volunteers that assist in the various areas, such as road marshals, registration, start area, etc. allowing us to bring off a safe and successful race for another year. The 12th Annual 2012 Presque Isle Cycling Club Spring Training Series race dates for this year were Sunday, April 1st, April 15th, April 22nd all in North East, April 29th started back at the Fairview Business Park West- Klier Rd. course that has been a mainstay of this race series over the years. The series continued Sunday, May 13th and Sunday May 20th both also in Fairview. The awards presentation for the event were held immediately following the last race of the event, Sunday, May 20th. The final standings and placings are available to the right in the results. Again this year the North East Course was around the Burch Farms loop. See a Google map of the route view it here. The North East Loop consists of a 3.7 mile course starting on Moorheadville Rd., north to West Law Rd., east to Brickyard Rd., south to Sidehill Rd., and returning to the start/finish line on Moorheadville again. Also again for this year we used the on line registration through the USA Cycling Web site. PICC Spring Training Series Race #1 North East - First race of the series start date: Sunday, April 1, 2012, A Race at 9:30AM, Women at 9:31AM, and B Race at 10:45AM. Completed! PICC Spring Training Series Race #2 North East- Sunday, April 15, 2012, A Race at 9:30AM, Women at 9:31AM, and B Race at 10:45AM. Completed! PICC Spring Training Series Race #3 North East- Sunday, April 22, 2012, A Race at 9:30AM, Women at 9:31AM, and B Race at 10:45AM. Completed! 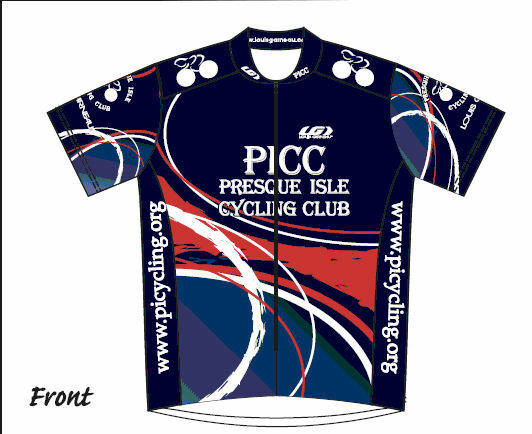 PICC Spring Training Series Race #4 Moves to Fairview Fairview Business Park West- Sunday, April 29, 2012, A Race at 9:30AM, Women at 9:31AM, and B Race at 10:45AM. Completed! PICC Spring Training Series Race #5 Fairview Business Park- Sunday, May 13, 2012, A Race at 9:30AM, Women at 9:31AM, and B Race at 10:45AM. Completed! PICC Spring Training Series Race #6 Fairview Business Park- Sunday, May 20, 2012, A Race at 9:30AM, Women at 9:31AM, and B Race at 10:45AM. Completed! On-site registration opens an hour before the start of the race and closed 20 minutes before the start time. 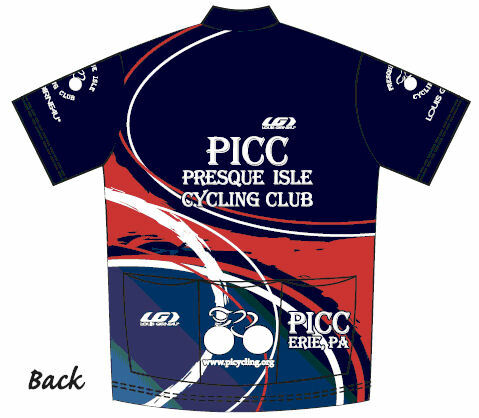 USA Cycling- PICC Training Series Registration. This race is held under USA Cycling permit 2012-1190. For the points series, as in past years, the best 5 of 6 races were counted for the series (i.e. you could drop 1 weeks race). If there is a tie, then the tiebreaker will be the sixth week points. If there still is a tie then the prime points will be removed and points recalculated between those racers. Awards were held immediately after the last week of racing. Thanks go out to all the racers that traveled to support our event, the Teams that participated and put it on their schedules, and of course the race series would not happen without all of the volunteers, road marshals, registration persons, and the club members that provided support of the event. These popular rides have started up again in mid March for 2012 season at the same the starting point of past years- Edinboro University parking lot off of Perry Lane near the Athletic Facilities and Sox Harrison Stadium. The ride is always weather permitting- and you are invited to join us on any of the rides. Remember though these are self supported, show and go group rides again for our 2012 season. Since we cannot rely on any support vehicle for repairs or rescue, you should have tools and supplies for basic repairs and cell phones for emergencies. Ride leaders will be recruited each week to take each group out and get them safely back- no one will be dropped, but attempt to judge your ability and group pace. Volunteers for group leaders will be recruited just before the ride, if no one else has volunteered or able to lead on any given Wednesday. Occasionally, the A and B rides are going to be Team Training rides with paceline work, sprints, hills, leadouts, threshold intervals or any other devices to further a team racers goals. All riders in addition to Wellness Extension Team will be welcome to participate but they should able to keep up and hang with their corresponding group's pace. If you are unsure of which group most closely matches your ride abilities- ask the ride leaders, first before the ride starts. If it is raining or looking like a high chance of rain, the ride will be cancelled. The only ways the club have as a mechanism for notifying everyone of last minute changes if a ride is cancelled is the Yahoo Groups Messaging (which is available to PICC members only- you are encouraged to join us!) or become a fan of our club's Facebook page. In case of weather and rain some people may inevitably show up and either turn around and head back home or ride on their own. All riders are to sign the ride sheet and check in and out before leaving. We may have some post-ride refueling with pizza or just some snacks, or elect to go to one of the local establishments. This year's edition was on Saturday, May 19, 2012 under sunny skies and again featured a choice of 10, 30 or 50 mile tours. Everyone started and finished at the Intermodal Transportation Center at the foot of Holland St., just off the Bay Front Parkway. There was a picnic lunch provided after the event. Many riders of all ages as always were encouraged to participate in the event, including children and adults to support the environmental causes. Completed! The 2012 edition was held on Saturday, July 21st. The 8th annual Tour de West County in 2012 continued to grow and had well over 400 riders participant in another major undertaking of this event for the Committee of volunteers and Emergycare staff involved. Funds contributed from the day's activities benefited the Emergycare and a portion of the event went to Lance Armstrong Foundation and cancer causes. The venue again was at Fairview's Pleasant Ridge Park. The routes included a short family friendly tour, and 13, 25 miles or 50 mile routes. The silent auction offered various theme gift baskets, as well as a picnic for all the Tour participants after their return from the ride. The total monies raised from the past donations and silent auction up over $100,000 for all the years. Visit the Tour de West County and Expo info page for more details on this past years event. East- SHADES BEACH- started and finished at Shades Beach Park, 7000 East Lake Rd. (Rt. 5) DISTANCES: 25 km - Predominately flat and fun for all ages, 50 km - Slightly hillier with scenic views of Lake Erie, 100 km - A more challenging ride (Beautiful scenery, bigger hills), 50 mi Our famous Flat Fifty. West - ALBION Borough Park (FAIR GROUNDS) started and finished at Albion Borough Park, North Main St. off Route 6N in Albion. DISTANCES: 25 km Flat to rolling terrain through countryside surrounding Conneaut Creek, 50 km Rolling terrain with one challenging climb through scenic Amish farms, 100 km - More Amish country with more hills and more fun. As always there were well stocked snack/water stops along the routes, participants could fuel up on great cookies, sandwiches, and fruit to complete their routes. The ride is always open to any interested cyclists. Again a large number of participants of approximately 350 riders between the 2 starting locations made for a successful day but warm temperatures. Photos from the 2012 year Tour are available online at Rich Pearson Photography. This year goal of surpassing the previous high annual total of about $17,0000 dollars collected or pledged to The Refuge should be met once all pledge monies are collected. Critally assisting their budget at a time of increased need in todays economy. As always their Fabulous Rider Picnic awaited the all the finishers at the end and was stocked with plenty of delicious dishes and food for refueling. 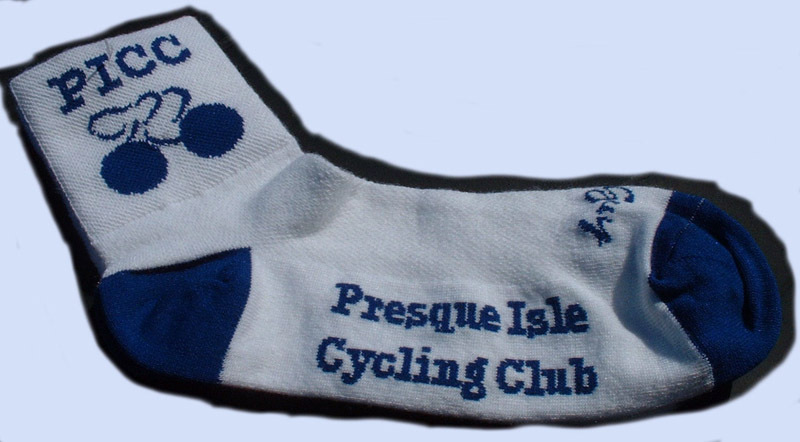 The Presque Isle Cycling Club is not involved organizing, or sponsoring some of the following events, these are posted solely for your reference. Contact the sponsoring organizations listed for additional details or questions. 2012 Gears to Beers Bicycle Tour: 25 and 50 mi. courses. Ride begins at 2 locations this year depending on the distance more information at WQLN both with Sprague Farm and Brew Works. Visit their Web Site WQLN Web Site Completed. 2012 Spring Time Trial- Sponsored by Iroquois School Foundation- on Sunday May 6th, 2012 Contact the Foundation at Iroquois School District Foundation Completed. 2012 MS Bike Tour- Bike MS Escape to the Lake was an 150 km, 2 day tour- Erie to Edinboro to Conneaut, Oh. Saturday-Sunday, June 9th and 10th. Erie: NEW AND IMPROVED ROUTE & OVERNIGHT LOCATION! Bike MS: Escape to the Lake (Erie) started and finished again at Edinboro University for day one this year! This is a fully supported 75 mile route with SAG vehicles, fully stocked rest stops, and bike mechanics. With our first-class support, you pedal - and we take care of the rest! For the second day, cyclists headed to Conneaut, OH to complete the 150 mile journey on the Shores of Lake Erie with a full buffet and entertainment. For more information on donations, etc. visit our website MS 150 Escape to the Lake Completed. 2012 Tour of Mercer- Saturday, June 16th, 2012. Tours of various lengths from 15 to 100 miles supporting the Mercer County Trails Association. Mercer County Trails- Completed. 2012 Ride For Roswell- Saturday, June 23rd is an annual cycling celebration of community support for Roswell Park Cancer Institute and its core mission to understand, prevent and cure cancer. The Ride offers eight distances to choose from and open to any level of rider. Either choose a traditional route that starts from UB North campus -- the 100, 62.5, 44, 30, 20, 8, or 3-mile routes -- or join the Extra Mile Club Peloton: only 12-miles from Roswell Park to UB. If you can't ride that day or want to simply fundraise and join us at the picnic, become a virtual rider. For more information on The Ride For Roswell visit Ride For Roswell, or call 716-THE-RIDE (843-7433)- Completed. 2012 Highmark Quad Time Trial Bike Race Edinboro University, on Saturday, July 14th, 2012, Contact the Erie YMCA for details or visit Highmark Quad Games - Completed. 2012 Tour of the Finger Lakes- Erie County YMCA Bike Tour for Strong Kids- Week long fully supported tour of Western New York and the Finger Lakes Region. Dates July 29- Aug. 4th. 2012 Tour de Tamarack Race Meadville, PA, on Sunday, September 2nd, 2012. Race involves a 20, 30 or 40 miles consisting of loops around the Tamarack Lake, depending on category. Contact the event organizers of visit their web site Tour de Tamarack	for more information and details. 2012 Presque Isle Fall Time Trial- Sponsored by Iroquois School District Foundation- on Sunday, September 9th the second of the 2012 Foundation Race events. -Iroquois School District or Iroquois School District Events for questions on the results or the event. Gran Fondo of the Alleghenies - October 13, 2012 includes 30, 60 and 100 mile routes through the Allegheny National Forest in Warren and Sheffield areas of PA. Details and application at Warren Adventures Web Site. Registration is available on BikeReg.